12th November, the birthday of Salim Ali is celebrated as Birdwatchers' Day in India. Salim Ali (1896-1987) often referred to as 'the bird man of India' was a key figure in Indian ornithology. He was among the first Indians to conduct bird surveys and played an instrumental role in the Bombay Natural History Society. He also helped establish the Bharatpur Bird Sanctuary in Rajasthan and prevent the destruction of the Silent Valley National Park in Kerala. His books on birds and birding still serve as bibles for beginners and experts alike. 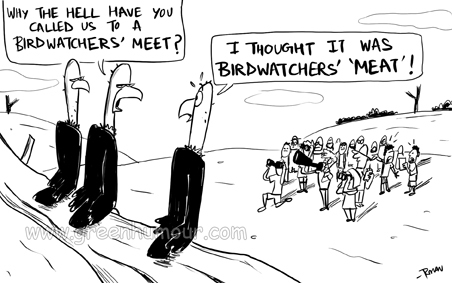 Happy birdwatchers' day, readers!